Having over the years seen many different kinds of robots, I'm still pondering what a robot essentially is - whether it is supposed to be a humanoid machine, and whether it's invented to ultimately overtake human beings or to collaborate with people. While robots are being defined in multiple ways, I personally opt for a clear-cut equation: robot = machine + artificial intelligence. That said, there's still a long way to go before we complete the equation, as we have only built basic automated machines so far. Today we are only at the start of an era of robots. It could be called the era 1.0 of traditional robots, which are yet to be intelligent enough to replace human beings. And I believe it's time to call forth the idea of an era 2.0 for the robotics industry, referring to a new generation of robots in the making that apply a certain degree of artificial intelligence. A high degree of intelligence would allow robots to master cognitive, perceptive abilities, and also deep learning, although this is unlikely in the near term. With the robotics arena across the globe becoming more intelligent, it will become increasingly urgent for China's domestic robotics companies to force their way into the ranks of global industry heavyweights in terms of technological sophistication. It has to be admitted that domestic robotics companies still lag behind their foreign counterparts in the arena of traditional robots, despite the fact that China has emerged as the world's leading market for industrial robots. While the likes of Google, IBM and Microsoft have had some stunning successes in the field of robotics, many Chinese companies are still finding their feet in the sector, and are making efforts to develop key robot components such as servo motors, controllers and reducers. So far, there are roughly 1,000 robotics companies in China, but few of them have risen to prominence as measured by having innovative technologies. In fact, the majority of domestic companies serve as assembly workshops using key components imported from foreign countries. There is a chance that domestic robotics companies might continue to be laggards in the era 2.0 and possibly end up losing out if they fail to make impressive breakthroughs in developing technologies and applying them. Considering that the country has rolled out "Made in China 2025," a 10-year national plan designed to overhaul the manufacturing sector, it is envisaged that China is on course to enter a new era of intelligent manufacturing. The nation's robotics industry could accordingly usher in a pivotal new decade. In the era 2.0, the robotics industry will integrate an array of advanced technologies including artificial intelligence, big data and cloud computing, as a result of which an intelligent service platform will be created to enable smart robots to connect the virtual world and real life. As such, there will be two indispensable elements for true success in China's robotics industry in the next one or two decades - top-class research and development talent, and also sustainable funding, which means that financial support needs to be always in place. But it's not the case that China should muster the resources of the whole nation to develop its robotics sector in order to catapult it to be among the world's strongest, as it did decades ago to develop atomic bombs, even though this strategy has been suggested by some people. This actually sounds somewhat cynical or ignorant. While it is not to deny the contribution being made by State funds to help give domestic robotics companies a technology upgrade, it has to be pointed out that funds flowing to the arena should essentially be market-oriented. As a striking example of where funds should come from, Google has in recent years spent more than $10 billion in acquiring a host of the world's top robotics companies to bulk up its robotics power. Still, it's currently time for investing rather than harvesting. 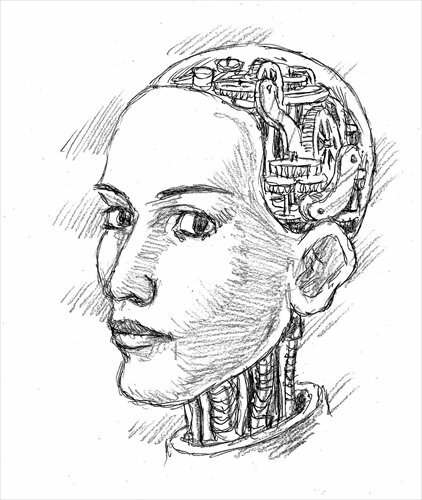 In tomorrow's world, China's domestic robotics companies must spare no efforts to ensure that a certain portion of the world's highly intelligent robots are made in China.